Notice of "MODEL TRAIN MODULE LAYOUT AWARD 2019"
"MODEL TRAIN MODULE LAYOUT AWARD 2019" is held in the following manner. This is showing and competition of personal make Diorama Layout. Get off Bus at "Jyounannjima 2 choume"
Use smaller bus thus no many sheets. Free Shuttle Bus time schedule from "Ryuutuu Center station"
Free Shuttle Bus time schedule from "ART FACTORY JYOUNANJIMA"
There are free parking space. Desired Date, Name, Number of Joint Parsons, Telephone Number. Make own design Z shorty trains used ROKUHAN Z shorty sticker for body shell. 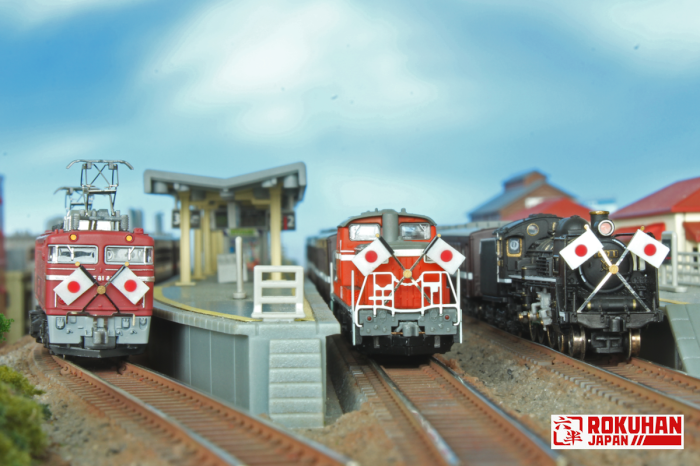 Please enjoy Z gauge world. Please follow on Facebook: "MODEL TRAIN MODULE LAYOUT AWARD 2019" is held in the following manner. 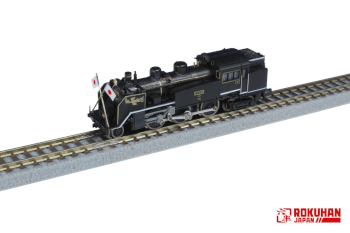 New release of T015-5 "JNR EF81 Electric Locomotive Number 81 (Royal Train) " and T015-6 "EF81 Electric Locomotive Cassiopeia Color","A060 DCC Accessory Decoder for Turnout and LED Light"! We would like to introduce two EF81 electric locomotives. One is for pulling royal passenger cars and the another one is pulling cassiopeia passenger cars. It was pulled imperial carriage at the Tsukuba Expo in 1985. And it was given silver coating on one side of the train body and other various parts. It also pulled Hokutosei passenger car. *Top pipe is expressed by etched metal. *National flag is detachable as consumer attachment parts by metal parts and label seal. *Included both arnold coupler and replaceable dummy coupler parts, as the first trial of EF81 series. *Included train radio antenna as a consumer assemble antenna parts. EF81 cassiopeia version is painted according to cassiopeia passenger car. It pulled Hokutosei passenger car, too. Original No.99 was manufactured in March 1974 under JNR and operated at Nihonkai Jyuukan Line. Then, it was transferred to JR East Co. and it is assigned at Tabata operation center with Hokutosei color. It was painted several colors as cassiopeia, Hokutosei, and freight car. It was scrapped in August, 2011. *Characteristic painting is reproduced beautifully. *Included train radio antenna and "Hokutosei" head mark plate as consumer assemble antenna parts. We have confirmed function with Digitrax, NCE and LENZ controller. We will start deliver to Japanese Market in February 2019. Please make reservation for our products of your Rokuhan hobby retailer. *Image and pictures are not final. All appearance and specifications subject to change without prior notice. 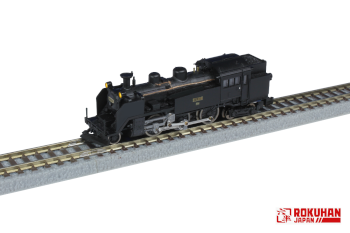 Please follow on Facebook: New release of T015-5 "JNR EF81 Electric Locomotive Number 81 (Royal Train) " and T015-6 "EF81 Electric Locomotive Cassiopeia Color", " A060 DCC Accessory Decoder for Turnout and LED Light "! A Happy New Year 2019 for all! We would like to express our gratitude for all your interest in Rokuhan products. We look forward to seeing you again as well. We wish you a prosperous 2019 filled with health, happiness and success. May you have a safe and happy New Year. We will release more various products such as " Z Shorty" to start selling in addition to the ordinary Z scale model trains, tracks, and others. We will also continue to concentrate on improving Z gauge products which live up to your expectations. Furthermore, thank you for your coming to our Rokuhan Tokyo Showroom. We received a large number of your visitors from the opening day. We would appreciate your continuous support for Rokuhan Showroom in Tochigi. We will make more various proposals in the future to make everyone enjoy Rokuhan Z gauge who visited our showrooms. We look forward to meeting you in our showroom! New Release of T019-7 "JNR C11 Steam Locomotive Number 251 Royal Train Type" and T019-8 "JNR C11 Steam Locomotive Number 209 Double Headlights Type"! We would like to introduce the newly released two JNR C11 model trains. One was pulling royal train. 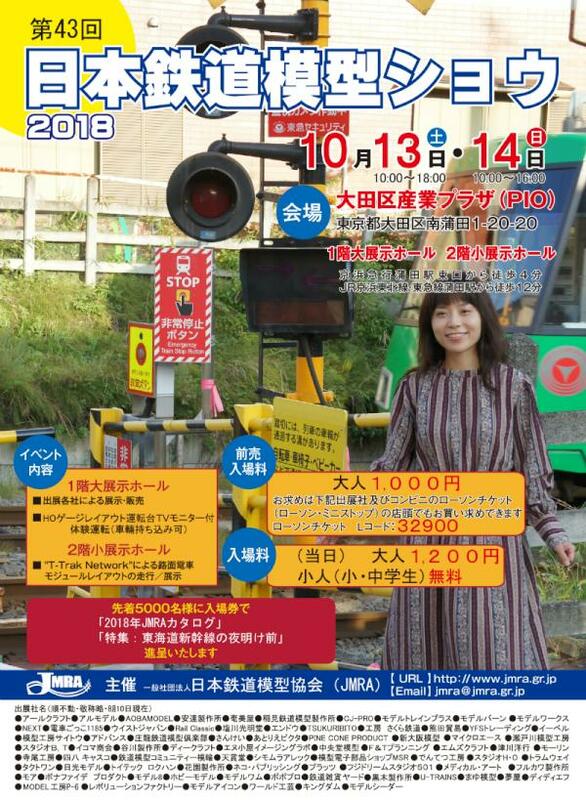 Another was mainly operated in Hidaka Main line and in Shibetu line in Hokkaido. It was manufactured in 1943 and had been in service over until 1971 in Tsuyama in Okayama until it is disposed. It was appointed as a locomotive which was responsible for pulling the train in the non-electrified section in the Okayama tree planting ceremony held in April 1967. And it had been in service singly and run with another C11 for use of pulling passenger car. At that time, large phoenix was decorated in the deflector to show its sparkling beauty. *Maker's plate and side plate is made as close to the real plate. *Printed large phoenix decorated in the deflector. *Japanese flag made by etching was first Rokuhan commercialization as C11. *Front coupler is replaceable. Double-heading or back operation is possible by the exchange. It was manufactured in 1942 and had been in service in Hidaka Honsen line and Shibetu line in Hokkaido until it is disposed in 1975. It is preserved as it was in the Maruyama Park in Nakashibetu Cho. Rokuhan reproduced it as the model which spec was before using inspection port on the deflector. *Front coupler is replaceable.Double-heading or back operation is possible by the exchange. It is plan to start delivering in Summer 2019. Please follow on Facebook:New Release of T019-7 "JNR C11 Steam Locomotive Number 251 Royal Train Type" and T019-8 "JNR C11 Steam Locomotive Number 209 Double Headlights Type"! Thank you for your intresting in ROKUHAN products! ROKUHAN make A060 DCC Accessory Decoder for Turnout and LED Light. A060 can be operated by C005 e-Train controller and can be done more realistic operation. We will start delivery A060 in Feburualy 2019. All appearance and specification s subject to change without prior notice. 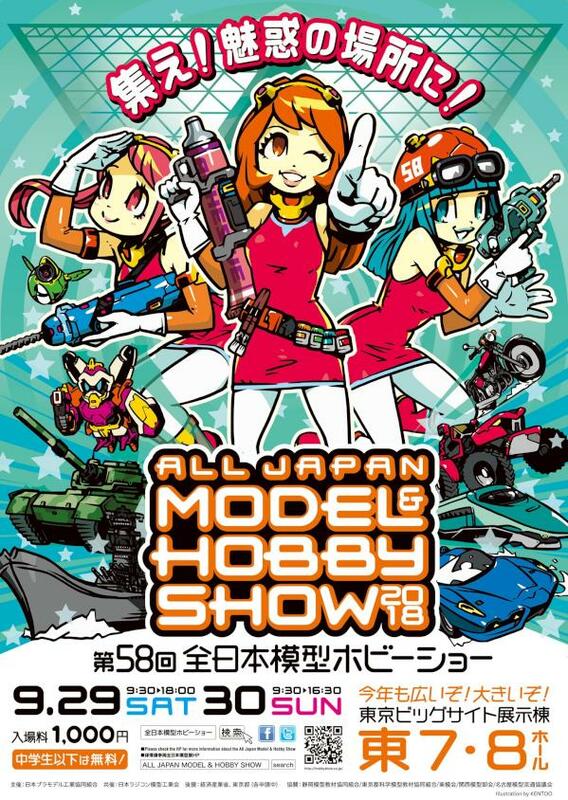 We Rokuhan will exhibit our booth in the "58th ALL JAPAN MODEL & HOBBY SHOW 2018" at Tokyo Big Sight. We will display the following hot items!! We look forward to your visit and see you soon at our Rokuhan booth. We will soon release a New Shorty Body series "Doctor Yellow." Currently it is exhibited in ROKUHAN TOKYO SHOWROOM. Doctor Yellow (Type 923) is not for passenger use, but it inspect rail track and electrical wire condition by hi speed run. It has original design and yellow body color that is different from other Shinkansen. Therefore it is called Doctor Yellow and always it runs by 7 cars formation. Doctor Yellow is an unscheduled train, also no schedule announcement. So people is quit lucky and become happy once they could see it at any place. And this is one of urban legend. Quite popular train in maniac railway fan, modelers also in the general public..
ST004-1 is made based on T5 vehicle organization of JR WEST. We look forward to seeing you at Rokuhan Tokyo Showroom.